As part of the Quality Assurance process, functional testing is a testing prerequisite for assessing precisely how the system functions. A system comprises of several components that must all work individually, and also mutually, for robust functioning. These aspects must be verified through in-depth functional testing. 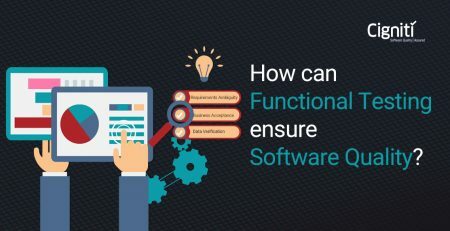 In functional testing, each component is first tested to confirm if its desired output is as per code, and then doubly checked to ensure that the rest of the system is not impacted by the output of this particular component. It is particularly imperative that all cases of possible impact are carefully covered, including the edge case or boundary case scenarios. The focus of functionality testing remains mainly on the accessibility, usability, and main function testing. Functional testing is essential to guarantee the quality of the software. 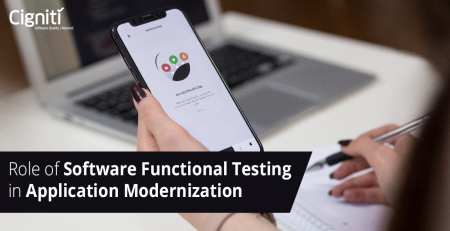 In the process of functional testing, QA engineers are often focused on one particular part of the software, which gives them ample scope to thoroughly analyze and test. In this process, integration points between the part and other parts can be realized. In case of a difference or discrepancy, the QA engineers can then scrutinize and formulate a plan to ensure that the system as a whole is seamlessly integrated. It is crucial that the user interface matches the code of the software in order to guarantee exceptional customer experience. Unit testing: This type of testing simply ensures that each part of the code being developed in a component is being able to deliver the desired output. In this case, developers start by developing the code, and as the changes are drastically incorporated, the unit test scripts begin to differ greatly. It serves as a purpose of documentation of code development, as each unit of the code is thoroughly tested as a standalone before progressing to another unit. Black box testing: Requiring no specific knowledge of the implementation, this is a form of functionality testing, where critical functions are taken into consideration. Test cases are created from each scenario according to how the tests are used. Regression testing: The more perfectly a particular modification is coded the first time itself, the smoother is the regression testing. Specifically performed in order to ensure that the new code has not introduced any bugs, regression testing cannot be performed for the entire system. It is mainly restricted to the critical functions and there is often room for further software improvement and bug fixing. System integration testing (SIT): SIT is a process that determines the operability and compatibility of the software with other applications. It is important to test specifically when the interaction between systems collaborates with the developed system once installed. In case the system undergoing development is altogether standalone, requiring no compatibility, SIT can be ignored. User acceptance testing (UAT): Factoring in the user experience and how well they interact with the system, UAT reflects the final usability of the system. UAT cases are developed from user requirements and then validated with actual end-users of the system. UAT determines if the final product is accepted. Selenium: Selenium is portable and runs on multiple platforms as well as browsers. Hence, it easily allows QA engineers the ease of writing code without being too concerned about the platform on which it will run. Using Selenium, browser events can be automated, with the script recorded and replayed as per requirement. Selenium allows the functional testing for both desktop as well as web applications. Migration to selenium has many benefits for automated testing, the biggest of which is that automated tests can be run repeatedly with no additional expenses. Cucumber: Cucumber, the software testing tool that programmers use for validating other software for quality, runs acceptance tests. The tests are written in a behavior-driven development (BDD) style, mainly in (but not restricted to) the Ruby programming language. Written in an elaborate “given-when-then” steps, the BDD tests cover all the possible test cases for a particular functionality. Businesses are more inclined to use Cucumber mainly owing to the relatively easy readability of the code. HP QTP: It is an automated functional testing tool. QTP is expensive, but it makes up for the expense by being able to support desktop, web, and client server applications. It supports only VB scripted test cases and automates functional and regression testing of an application. It can be integrated with Test management tools like Winrunner, Test Director, and Quality Center, and is easy to maintain. Requirements-based testing: This testing technique contains all of the functional specifications that eventually form a basis for all the test cases written. Business scenarios-based testing: This particular technique contains information about how business perceives the system and will pave way for relevant test cases. Cigniti Technologies understands that the present business environment is transforming digitally and becoming more innovative. This calls for complex and dynamic testing solutions with limited time and resources. Cigniti’s services assure that the focus is on the end-user. Extensive research is conducted to constantly assure that our experts invest time in developing repeatable test plans. This reduces the cycle time of testing and leads to a tremendous reduction in the overall testing costs. Cigniti’s QA engineers begin with an assessment of your application/product objectives and lay out a clearly defined implementation plan for aligning functional testing objectives. Right from gathering requirements to reducing bugs, Cigniti’s experts strive to provide end-to-end business scenarios test coverage. To know more about Cigniti’s functional testing services, visit our website and get in touch with our professionals. 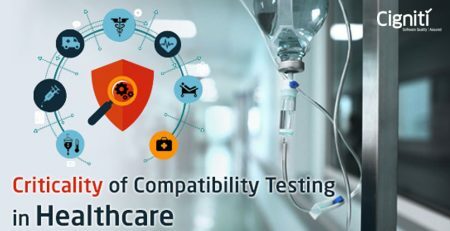 How Critical is Functional and Compatibility Testing for a Healthcare provider?